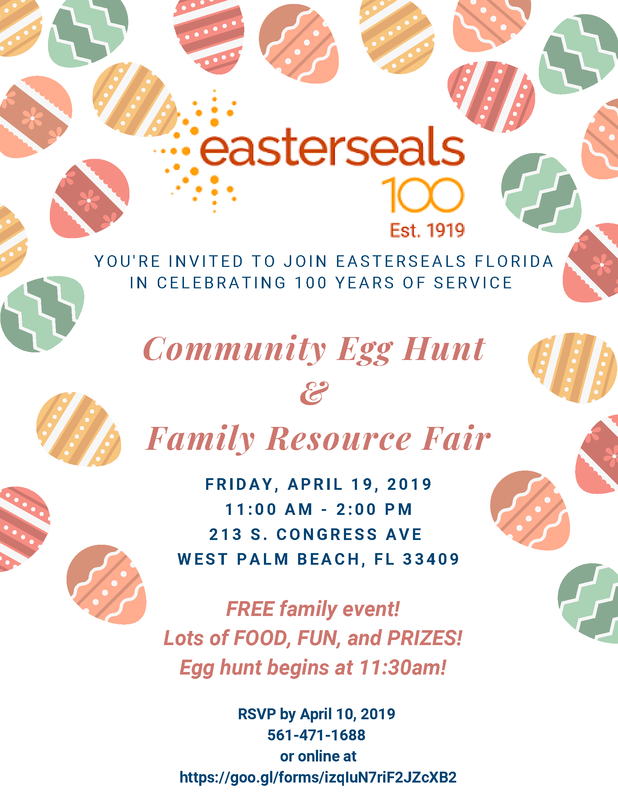 Join us at Easterseals 100 Year Anniversary Celebration with a Community Egg Hunt and Family Resource Fair! This event will take place at the Amar Center from 11:00 AM - 2:00 PM. There will be food, games and prizes.